Our story. We are one of Ireland’s leading contemporary soft seating and upholstered furniture manufacturers. Established in 1975, our company has built a reputation for designing and manufacturing high quality upholstered furniture for the office and commercial interiors markets. Operating from our facility in Bray Co. Wicklow, our ethos is Quality by Design — a philosophy that ensures each of our products are as ergonomically and economically considered as possible. Our team of skilled designers, craftsmen and upholsterers understand what is needed to deliver the highest quality product and service. We have worked with architects and designers on a number of prestigious projects throughout Ireland and have the imagination, willingness and skill to work on customer specific projects while continuing to grow the company’s own range of design-led furniture. Thomas Montgomery Ltd is working to develop and produce design-led office and commercial furniture which reflects the evolution of the modern working environment, supports the technology driving these changes and fosters interactions among workers of the 21st century. 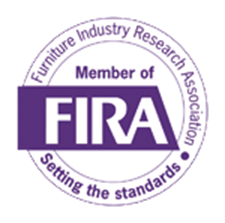 Through our active membership with the Furniture Industries Research Association F.I.R.A, we ensure all our seating meets stringent quality standards. All our seating products are tested to the latest British and European Standards for non-domestic seating. 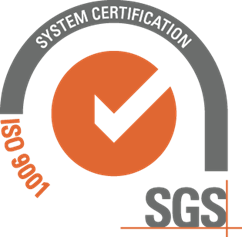 As part of our commitment to providing the highest levels of quality and service we continue to operate as an ISO9001:2015 accredited company.